This one is a MUST SEE! Excellent condition, just inspected, new tires to hug the road as you zip through NEPA enjoying the TURBO LAUNCH EDITION. REMAINDER OF FACTORY WARRANTY TOO!!! This one won't be here long! Guaranteed Credit Over 120 Vehicles To Choose From! 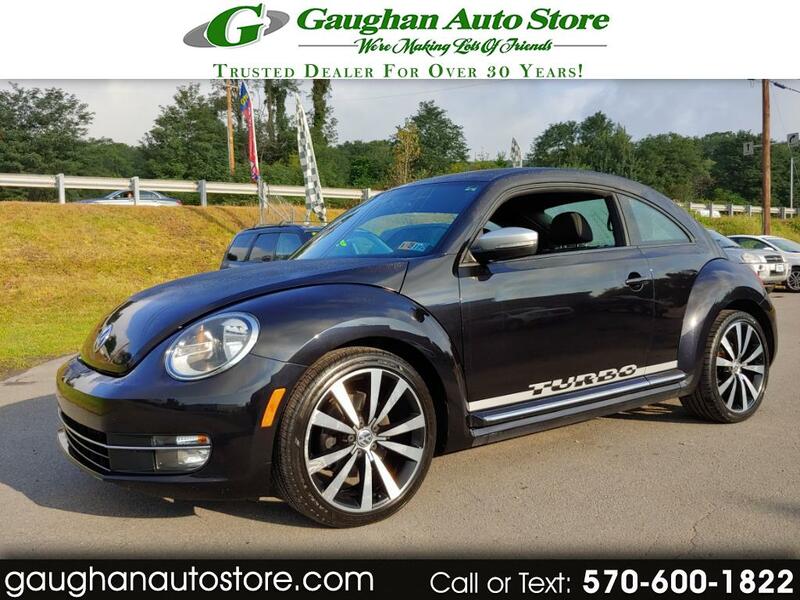 Visit us 24/7 at gaughanautostore.com to see more pictures of this vehicle or call us at 570-562-3088 today to schedule your test drive. Welcome to Gaughan Auto Store! We are an award winning dealership, voted #1 by a national warranty and national financial institution in customer satisfaction in North Eastern Pennsylvania! Our family has been selling quality pre-owned vehicles for 2 generations and have been a trusted dealer for 30 years! Our vehicles are all vigorously checked by a 101 point inspection to ensure the quality and safety of not only our vehicles, but our customers as well! Be sure to visit our virtual showroom for inventory available for purchase! Once there, you will see detailed information about each vehicle, a picture gallery, as well as convenient ways to contact us for more information about that vehicle. Our family at Gaughan Auto Store is here to serve your every vehicle need from our main location at 114 South Main St. in downtown Taylor. If your car happens to need a quick oil change or other maintenance needs, our well qualified service technicians have you covered at Gaughan Service Center located at 315 S Keyser Ave. in Taylor. Our technicians can help with any maintenance problems, and even get your car ready for inspection! Our Service Center is available by phone at 570-562-2886. You can also get driving directions and hours of service from our user friendly website! $2000 minimum on your trade cannot be combined with any other offer or discount and can only be used on vehicles priced $10,000 or greater.